The most easy and convenient CMS today is WordPress which can be installed and configured with just a few clicks. Perhaps that is the reason, it is one of the most popular CMS leading the choice of professional web designers / developers and amateur web users. However, being the most popular and widely used content management system, WordPress is “hacker favorite” application. There are millions and billions of attacks every day carried out on large number of websites that use WordPress. Such attacks are largely targeted to deface WordPress websites or misuse them for triggering external attacks and spam outbreaks, further damaging their rankings by getting blacklisted in major search engines such as Google etc. While it is impossible to keep your wordpress website 100% secure, but it is possible to secure it to a large extent, assuring maximum security from such hackers and intruders. Today we are going to discuss a few things, which if implemented, would definitely make hackers job tough and difficult. Wordpress by default will install with username admin and wp-admin as the admin directory. Often we end up installing many themes and plugins from WordPress admin dashboard, and most of them stay de-activated and unusued. Its always a good idea to delete such unwanted themes and plugins that are not in use. Themes and Plugins require update with passing time, and such un-used themes and plugins have a major risk of staying outdated and get compromised eventually. So simply keep only those themes and plugins that you are going to keep live and use. Get rid of others. The most major outbreak of compromised wordpress websites happens with outdated, vulnerable wordpress or its themes or plugins. Its always recommended to keep your wordpress installation, its themes and all plugins updated as per latest stable updates. If possible, it is recommended to configure your wordpress setup to auto-update so that whenever any new update or patch is available, it gets downloaded and applied automatically. If using Linux web hosting, make sure your files have permissions 644 while your folders, especially the media etc have 755 permissions. Any file or folder with 777 permission, will leave an open door for hacker to play with your website. There are several good security plugins such as Wordfence Security, Sucuri etc that allow enhancing the security of your WordPress blog or website. Although these plugins have their paid versions available, but their free versions are pretty good to deploy basic security for your wordpress. Nothing is important then making the first right choice and that includes choosing the best wordpress web hosting for your wordpress. 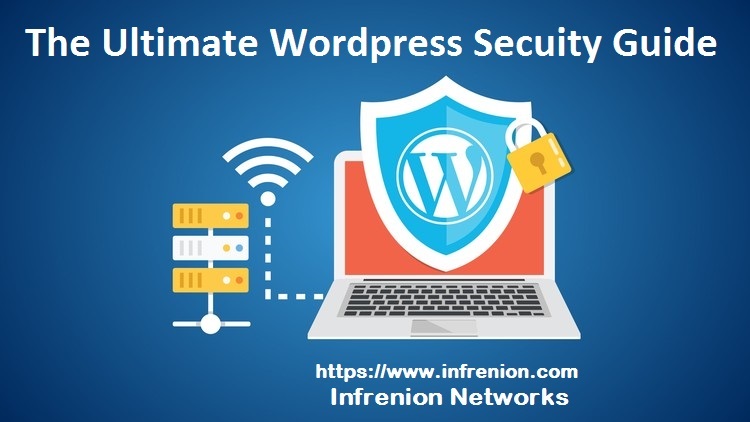 Infrenion offers the best managed wordpress hosting, where we have our servers protected with multi-layers of firewall and mod_security rules. We offer free SSL protection to all managed wordpress hosting plans, adding an additional security layer. Our managed wordpress hosting plans include auto-updates which keep your websites secure and protected. Our server side installed security tools continuously track for compromised applications and inform you before hand to take actions and keep it clean. Our managed wordpress hosting plans start from $ 2.99/month and can be further upgraded to higher plan with enterprise features.